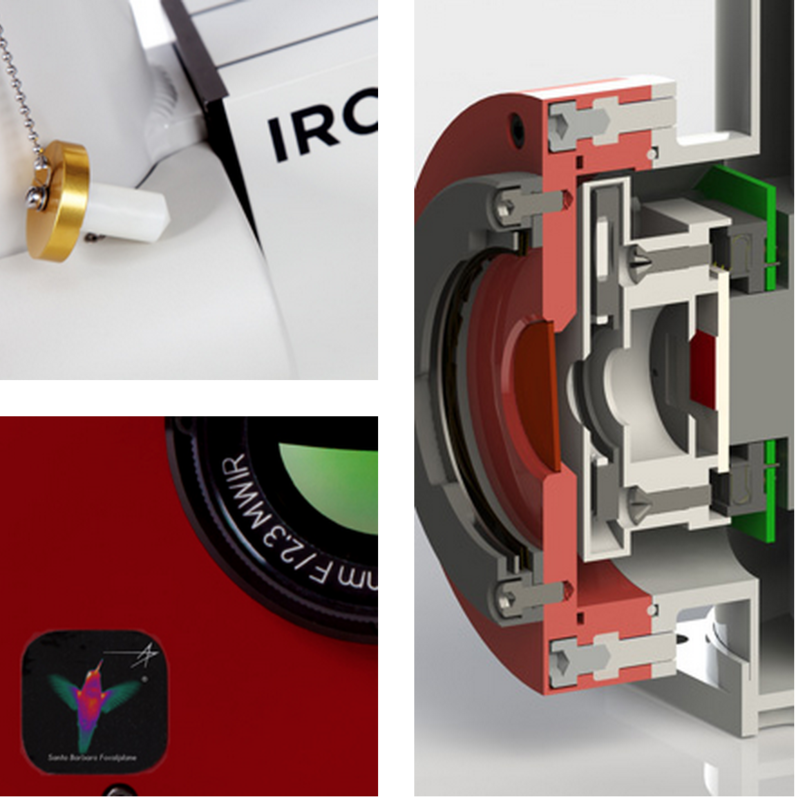 IRC’s cameras and dewar assemblies are designed around the latest sensor technologies. These sensors use high speed, low noise digital read out integrated circuits (ROIC) that are compatible with a wide variety of detector materials, including InSb, SLS, nBn and others. Digital ROIC’s are faster, lower power and more stable than their analog counterparts, are immune to environmental noise, and feature zero crosstalk between pixels. While our digital InSb mid wave cameras provide unsurpassed imaging today, new technologies hold the promise of even better infrared solutions tomorrow. As size, weight and power (SWaP) requirements become more critical IRC is working with two promising new detector materials that will soon result in a new generation of high performance infrared sensors that will meet the ever challenging SWaP requirements for infrared cameras. The revolutionary nBn technology from Lockheed Martin-Santa Barbara Focalplane is neither photoconductor nor photodiode, but has elements of both. This technology allows detectors for infrared systems to operate at higher temperatures using smaller, lower power coolers, and extending cooler operating life. nBn technology offers similar sensitivity and high operability as current cooled technologies but is easier to work with and requires less extensive processing time. The nBn material can be placed on the same ROIC as our InSb detectors, offering our customers identical camera features in a smaller package with comparable sensitivity. nBn is perfect for applications requiring superior sensitivity and reductions in SWaP such as Unmanned Aerial Systems (UAS), Unmanned Ground Vehicles (UGV) and handheld infrared cameras. Strained Layer Superlattice (SLS) is a Sb-based III-V material layered system that forms a robust direct band gap (high QE) uniform superlattice structure with broad band detection capability. This innovative technology provides an affordable solution with sensitivity that will meet or exceed the challenging requirements of both military and scientific applications. SLS will support IR detection with impressive performance at wavelengths from 3 to 25 microns. SLS detectors can also be used on the very same ROIC as our InSb material thereby offering our customers a broad range of products with identical features. SLS is comparable to HgCdTe at similar wavelengths and operating temperatures at a lower system cost. These LWIR sensors are ideally suited to the highest frame rates possible with digital ROIC technology. IRCameras is working with QmagiQ to develop IDCAs and cameras based on SLS technology. To learn more about IRC’s research and development initiatives, please contact us. The hummingbird image is a trademark of Lockheed Martin Corporation. All rights reserved.